Procure to pay, order to cash, record to report, controllership processes, finance transformation. Do these sound familiar? And do these processes involve predictable manual work, as well as large data to be processed and collected? As the answer is likely to be yes to both these questions, you are probably aware of the headaches they produce. As for the solution? Robotic Process Automation (RPA) is estimated to have a global potential of 44% in Finance and Accounting. 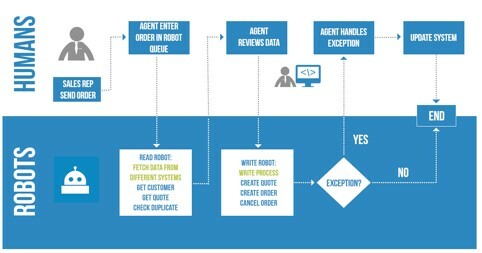 With proven results for many front runner companies, RPA is guaranteed to smoothen the way business operations are managed. Like many accounting and financial technology professionals, I am busy getting up to speed on best implementation practices for ASC 606, Revenue from Contracts with Customers. ASC 606 takes full effect for both public and private companies within the next several years, and applying the new guidance won’t easily happen without adequate planning and effort. Here are highlights to consider thus far. First, adoption will not be trivial: ASC 606 replaces scores of individual provisions in existing GAAP, and the cost of delaying implementation or trying to correct mistakes later could get scary. Start now, identify crucial differences between existing GAAP and the new guidance, designate an implementation champion, develop a project plan and educate key stakeholders. Brian Terrell visits with host Ed Kless on the Sage Advice Podcast about software automation, Artificial Intelligence, and Robotic Process Automation (RPA). The BTerrell Group assists small and midsize businesses automate internal business processes using Sage Software and automation tools, including RPA. "I help the back offices of small and medium sizes business accomplish more work but work less," he tells Ed in this 11 minute interview. "It delights me when my clients' eyes light up when I share a faster or newer or more accurate way to help them with their finance or accounting assignments." I’ve been writing a lot lately about the new revenue recognition standards (created by ASC 606 and IFRS 15) companies will soon need to adopt to ensure compliance. Granted, it’s a complex and somewhat dry topic, but it’s one poised to have a tremendous impact on public and private companies alike. Since most of us aren’t accountants (full disclosure – I am, but not practicing), I thought it could be helpful to boil down the changes to the five core steps to compliance. Transitioning to ASC 606? 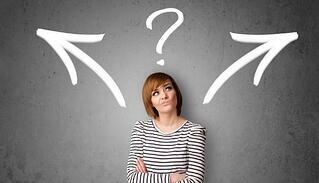 Which is right for you - modified or full retrospective? Companies have two options when implementing the new Revenue from Contracts with Customers standard, codified as ASC 606. You can take a retrospective approach or a modified retrospective approach. Both approaches require significant effort to account for contracts under both the old and the new guidance before and during the transition year, and clients with whom we’ve spoken express concern that this parallel processing is the greatest single challenge currently offered by ASC 606. Let’s take a quick look at each approach, and offer a few reasons why a company might choose one over the other. Under the full retrospective approach, you will determine the cumulative effect of applying the new standard as of the beginning of the first historical period presented, and you will recast revenue and expenses for all prior periods presented in the year of adoption of the new standards. If you are considering this method, you have zero time to waste. Under the modified retrospective approach, you will apply the new standards to all new contracts initiated on/after the effective date, and, for contracts which have remaining obligations as of the effective date, you will enter an adjustment to the opening balance of your retained earnings account. 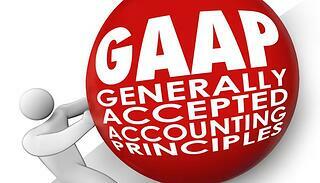 Under this method you would not restate comparative periods in your financial statements. If you are considering this method, you have very little time to waste. Regardless of which approach you select, you must endure a period of parallel reporting, where your accounting records must be maintained under both the current and new revenue recognition rules. This is likely to create data, process and system challenges that you should be solving now with the help of specialists in accounting, finance and ERP automation. Public companies must be compliant with the new standard for annual reporting periods beginning after December 15, 2017 (i.e., January 1, 2018 for calendar year-end companies). Nonpublic entities must be compliant for reporting periods beginning after December 15, 2018 (January 1, 2019 for calendar year-end companies). Wondering what other companies are doing? Various surveys have found a fairly even split between the two approaches, with public corporations tending to favor the full retrospective option and private enterprises favoring the modified option. The takeaway? The best method for your company may be the method that most other companies in your industry are using. Ask your colleagues, visit trade shows, and consult with the pros before making your decision. But don’t delay.